Great playing on that record, for sure. I just never dig any of the vocals. My biggest problem with VH covers. 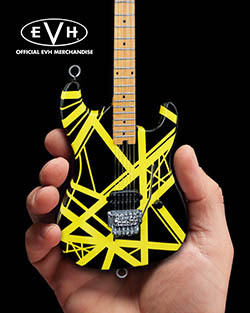 That unfinished guitar next to the 335 is actually the EVH Rude, not the Unchained/Rasta. Last edited by jimi11580; 02.26.19 at 02:54 PM. I gotta ask jimi, how you know? Not doubting you because you know it all but just curious. Jesus Christ. I felt like I just looked at a matlock episode for his guitars. Damn fine work. Damn fine. The detail is amazing. This proves to me how timeless and brilliant VH is. Take a group of world class players and it’s still not close to the original. No criticism as the playing is great. It’s just not Ed, Dave, Alex and Mike. As I have said befor they were lighting in a bottle. Individually amazing players but the four together created something so special it puts them at the top with 3-4 other all time great bands. Wow. I am speechless. 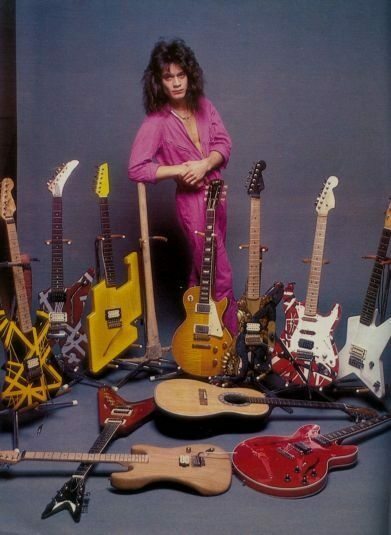 I had NO clue how many guitars he built or repainted that I have never seen before. Very cool.